How do Property Tags work? 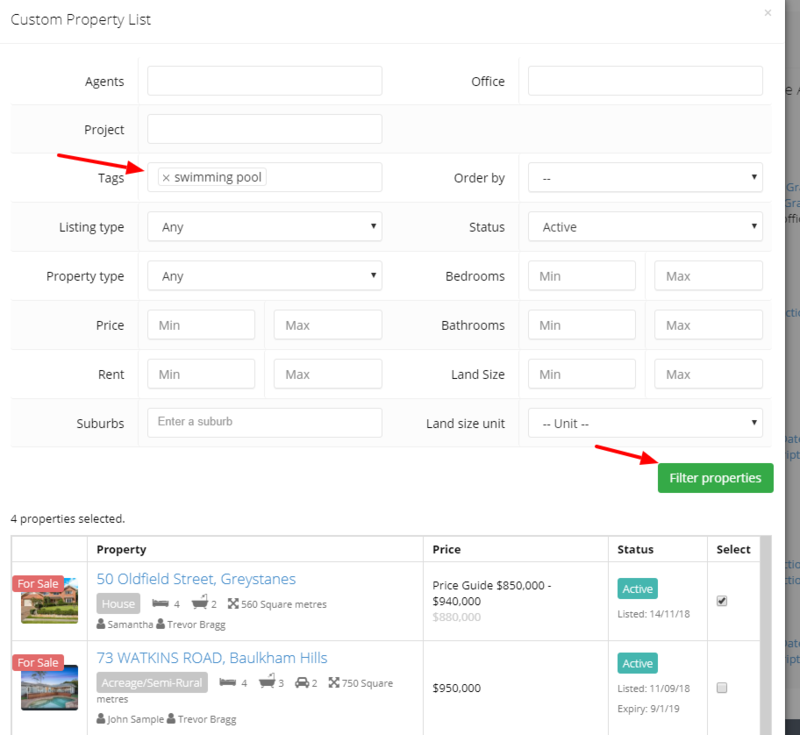 Property tags allow you to tag your listings with keywords, which you can then use to match or filter with other parts of the software or your website. For example, you might have a buyer looking for a property with a swimming pool, you can use tags to filter the automatic property alerts to only send listings with a swimming pool to that buyer. Start typing to create your own custom tags. Some common tags are things like 'swimming pool', 'close to shops', 'off the plan' and 'double story'. You can create as many tags as you like. Once a tag has been added to a listing, you can then add that property tag to potential buyers/tenants preferences. If property alerts are switched on, they will only receive property alert emails with listings that are matched with the property tag (as well as any other preferences set). In the Listing section, you can click the tag filter at the top, then select which tags you would like to filter on.